Die and start the game from the beginning. The Witcher 2's insane difficulty is just that – if you die you have to start the game again from the very beginning. "You can save the game, but when you die the saves are disabled," explained lead gameplay designer Mateusz Kanik to Eurogamer. "Of course we plan to have a resurrection scroll, maybe DLC or something. You'll see." The 2011 fantasy role-playing game includes four difficulties: easy, medium, hard and insane. On easy, players will be able to simply mash buttons to win. But on insane, things will be very different. The Witcher 2's insane mode hopes to emulate FromSoftware's rock hard cult hit Demon's Souls - a game Polish developer CD Projekt admires greatly. 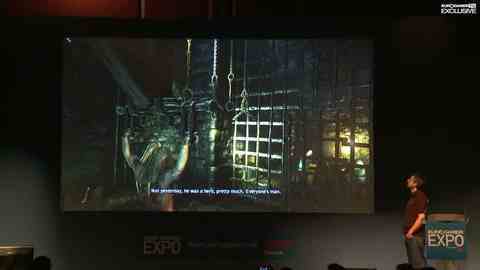 And expect speed runs to be virtually impossible - monsters will be harder to avoid than they were in the original. "It won't be easy to not fight the monsters. We fixed that by giving all opponents special abilities which allow them to catch the Witcher," Kanik said. "Undead can dig into the ground and get up near the player. So when you run he will dig up in front of you and grab you. It will be harder to just run and avoid the fight." Given how long The Witcher 2 is likely to be – it's billed as an expansive, non-linear story-based role-playing game – finishing the game on insane is sure to pose a challenge. But it'll be worth it, CD Projekt teased. "There will be an achievement for that, for sure." In another nod to long-standing Witcher fans, CD Projekt has confirmed intentions to allow players to import save files from the first game into the sequel. "In The Witcher 1 the story was non-linear, like in The Witcher 2. We want to import information about your decisions in The Witcher 1, and to make consequences of those decisions in The Witcher 2 so it will impact the storyline. Of course, not a new story, totally. Only little differences. "We want to give the possibility to import some items from your inventory. Of course, not all because it impacts the game balance. Money, for example, we can't give, because the game economy will be ruined. But for sure there will be an option to import some weapons and armour." For those who don't have a save game - The Witcher will be over three years old when the sequel launches next year - CD Projekt is considering creating a PS3 Mass Effect 2-style story generator, which will enable gamers to catch up and make decisions that impact on The Witcher 2. UPDATE: Triss Merigold actress revealed as well. "I'm not meant for balls." Witcher encouraging words to hear.